In the United States, obesity has replaced tobacco use as the leading cause of preventable morbidity and mortality. Efforts to deal with the issue have stressed personal responsibility: counting calories and exercise – unremitting efforts to decrease calories in and increase calories out. Dinner is really no fun anymore – and, overall, even with all the personal efforts made, population obesity is not declining – globally, it is increasing. Why aren’t we seeing success, given all the strident public invocations about diet and exercise, to say nothing of a thriving diet and exercise industry? I would suggest that we are going about it backward. In 1965, 56 percent of adult Americans smoked. Today that figure is 18 percent. How did such a dramatic decline come about? Although the Office of the Surgeon General had connected smoking and lung cancer by 1957, most place the beginning of the government’s campaign to stop smoking with the issuance of Smoking and Health: Report of the Advisory Committee to the Surgeon General in 1964. (Ours was not the first government to take on tobacco. The Nazis – yes, those Nazis – had an anti-tobacco public health program.) The Surgeon General’s report clearly identified smoking as a high mortality risk and provided solid scientific evidence to back its claims. Regulatory response was swift. By the next year, warning labels were required on cigarette packages. Four years after that, cigarette advertising on radio and television was banned. Taxes on cigarettes climbed. Over the following decades, it became harder and harder for smokers to find a place where smoking was allowed. Companies started looking unfavorably on employees who incurred higher health care costs. Smokers were at the top of their lists. Before the century was over, 46 State Attorneys General won a $1.5 billion settlement from American tobacco companies to recover Medicaid costs incurred by smoking. In 2009, tobacco regulation became a responsibility of the Food and Drug Administration, a move that allowed more stringent federal control over tobacco products. In just 50 years, as smoking declined in more upscale populations, cigarettes went from a symbol of cool to a symbol of addiction. Smoking has become so stigmatized that the CVS drugstore chain recently gave up $2 billion in yearly tobacco sales to disassociate itself from such a clearly unhealthful activity. So with tobacco control, we moved from science to regulation to stigma, the latter stemming from the notion that smoking is a matter of personal responsibility. Although many in the public health community argue that stigma is not a good place to land, no one can argue against the success of plummeting smoking rates. Stigma may be a bad place to land; it is a worse place to start. However, with obesity, we are starting with the stigma, moving to at least some (often ill-considered) regulation and failing to realize that there is little in the way of solid science to guide the way. We do have evidence that, for most people, obesity is a major risk factor for such prevalent conditions as heart disease, diabetes and cancer. There is evidence that obesity contributes to rising health care costs. That is largely where the science ends. In the absence of scientific bedrock, public health interventions are based largely on the assumption that obesity is a matter of personal responsibility. That assumption has not served us well. Two thirds of Americans are either overweight or obese. We are not alone. 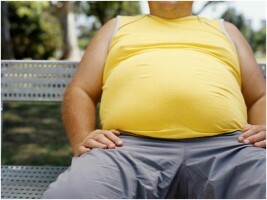 Planet wide, nearly 2 billion people are either overweight or obese. Even countries where large numbers of people are undernourished have other large numbers of people who are too heavy. These are recent developments. In 1950, a woman’s average waist size in the U.K. was 27.5 inches. By 2004 that had increased to 34 inches. In 1980, no American state had an obesity rate more than 15 percent. Now, there are 13 states with rates above 30 percent. Ten percent of infants and children underage two years are overweight. Half of all pet dogs and cats are overweight or obese. Feral rats are getting heavier – but so are their laboratory-raised brothers. And it’s not just the rats. Broad ranges of lab animals are fatter than they were with the most severely affected species being the one closest to us: chimpanzees. Are we really expected to believe that 2 billion people, their children, their pets, the feral animals around them and the animals they use for experimental purposes have all gone on an wild eating spree and settled in front of the TV for the duration? Public policies that treat obesity as a personal choice have this belief as their basis. The literature on obesity is replete with two themes: the futility of the personal responsibility model and the variety of other potential explanations for population obesity. Take a breath – it’s a long list. Certain viruses may contribute to obesity for some people. Chemical endocrine disruptors found in thousands of objects we touch or ingest every day (e.g., paper receipts, pesticide residue on corn, canned food linings) are thought to be obesogenic. Changes in intestinal microbiology secondary to treatment of people and their food animals with antibiotics. Wide availability of cheap, energy dense, processed foods – supersizing it makes it still cheaper. Food industry profits driven by the need to make more of us eat more – the “more” usually being salt, fat and sugar in various guises. Government subsidies that encourage overproduction of corn and soy. Long automobile commutes to work. Ubiquitous use of high fructose corn syrup as a sweetener. Poverty – associated with higher body weights. Saturation advertising of unhealthy foods to children. Cultural beliefs that constant snacking is the norm (do cars really need cup holders?). A built environment that discourages exercise, e.g., lack of sidewalks. Long working hours spent at the computer. There is evidence to suggest that any or all of these factors may be implicated in rising rates of obesity. Even if just some of them are involved, it is clear that the combination provides a toxic environment for individuals trying to attain or maintain a healthy weight. It is also clear that individuals cannot change factors that are built into the economic, social, political and cultural circumstances of everyday life. The issue here is what public policy should be with regard to the increase of population obesity. Our present model of personal responsibility and stigmatization has a long history in Western culture. Sloth and gluttony, after all, are two of the seven deadly sins of the Catholic Church. Blaming the victim is just easy. But that was not the path taken in the successful campaign against tobacco, and it is hard to see how it will be effective with obesity. To address obesity, it seems increasingly likely that it will be necessary for governments to come up against the interests of multi-national corporations and ingrained cultural practices. As we have seen with tobacco, the first requirement to do that is a base of hard scientific facts. Public policy then should be directed toward funding the necessary research to establish that base. I’d start with those chimpanzees.